Maplelawn Farmstead holds many special events throughout the year for the public. We have outdoor movie nights, park days, outdoor markets & open houses. 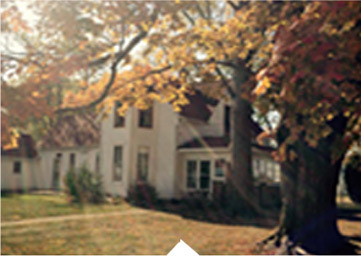 Maplelawn Farmstead, Inc. creates experiences which connect people to the rich rural history of the 1930’s Great Depression era on an Indiana family farm. 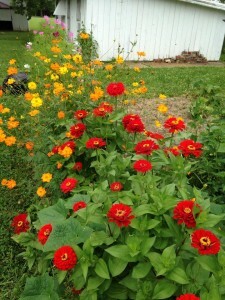 The farm is located in Boone County, Indiana in the community of Zionsville. We strive to preserve, educate, and inspire through educational programming and special events. 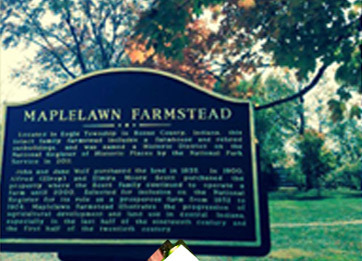 Maplelawn Farmstead has a well documented history that dates back to the early 1800’s. The original farmstead was established by John and Jane Wolf in 1835. In 1900, the Wolf heirs sold the farm to Alfred Elroy and Elmira Moore Scott. The farmstead remained in the Scott family until the death of Lester Bradley -the surviving spouse of a Scott heir, Alyce Scott Bradley in 2000. 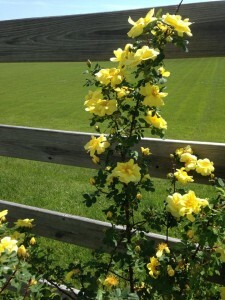 In 2003, the land on which the farmstead stands was sold to the town of Zionsville to be developed into a community park.